(18 July 2014, Hong Kong) – The Financial Dispute Resolution Centre (FDRC) has today published its 2013 Annual Report to report the work and progress of the Centre in its second year of operations. In addition, about 87% of the mediation users rated FDRC services as “satisfactory” or “very satisfactory”. In 2013, FDRC received a total of 2,192 enquiries and 1,182 of them (approximately 54%) were related to complaints about financial products and services. 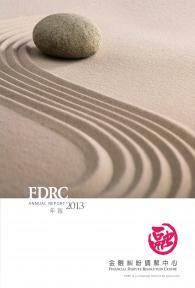 The 2013 FDRC Annual Report is now available on FDRC website at this link: http://www.fdrc.org.hk/en/annualreport/2013/index.php. A glance of FDRC’s work in 2013 can be found on page 20 whereas statistics of enquiries and cases are depicted on pages 38-41. Four new case studies are set out on pages 44-47 to illustrate the merits of mediation and arbitration in helping to resolve monetary disputes between consumers and financial institutions. Members of the general public can also obtain hard copies of the 2013 FDRC Annual Report at the FDRC office. For details, please contact Ms. Wong at 3199 5109 or candice.wong@fdrc.org.hk. If financial consumers would like to know more about the services of FDRC, they are welcome to contact FDRC at 3199 5199 or visit its website at www.fdrc.org.hk.